Mon Cheval are unique among New Zealand Pinot Noir producers in that they believe their wines should age in bottle before release – with at least 5 or 6 years of maturation from vintage before being shown to the public. The results speak for themselves, with all of the wines showing impressive longevity and finesse that continues to develop over the years. This is a rare opportunity to sample 4 Pinot Noirs from the same heavily accoladed producer in a vertical spanning 5 incredible vintages. Tasting Note: This wine, although close to a decade old, is still exhibiting primary fruit characters. It is moderately coloured with an intense ruby density, tending towards a brick red hue at the rim. Aromas of tamarillo, flowers and a hint of yeast not unlike marmite are present, with dried plum characteristics appearing after time in the glass. Oak character is only noticeable in the background despite 30% of this wine being aged in new French barrels. The taste initially is of sweet fruit such as black cherries and yellow plums, with chalky dusty tannins of moderate density. Because of the cool climatic conditions at the end of the season there is higher than normal acid but this is balanced well with the sweet fruit characteristics. The alcohol is moderately noticeable, however not high enough to add heat, but sufficient to add some weight. Oak is present but only as a flavour in the background. Tasting Note: A favourable vintage in the Waipara Valley reveals a wine of serious substance and complexity that will age gracefully for years. Aromatic on the nose, with big florals (violet, rose petal) underpinned by earthy notes. The palate shows breadth, but it’s still remarkably light on its feet, tiptoeing the tightrope between the equally seductive forces of power and prettiness. The tannin structure is still firm, but the finish is ample and lengthy. 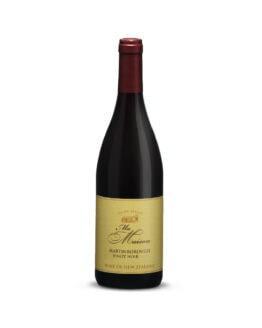 Tasting Note: Just released, this is Mon Cheval’s upper tier Pinot Noir only produced in top vintages. 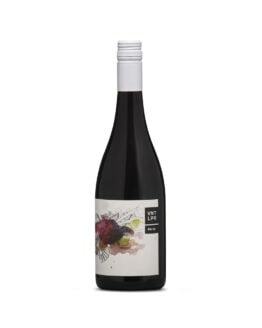 Dark, deep and complex, the broad bouquet shows savoury dark berry, cured meat, mushroom and forest floor. A touch of aniseed and floral perfumes also come through, possibly from the use of whole bunch stalks. 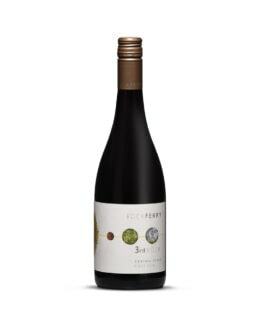 The wine has an abundance of ripe berry and plum fruit flavours, mushroom and dried herbs, with an instantly appealing savoury complexity and lingering finish.